Aug 18, 2009 — The Toronto Jewish community will be home to the Yeshiva University (YU) Torah Mitzion Beit Midrash (intensive Torah and Talmud study program) of Toronto beginning September, 2009. The Beit Midrash is an affiliate of YU’s Center for the Jewish Future (CJF) and Kollel Torah Mitzion. The mission of the Beit Midrash is to enrich and engage the greater Toronto Jewish community with inspired Torah living and learning. It will harness the resources of YU and its affiliates by deploying its scholars to service the local synagogues, day schools, youth movements, young couples, college students and the Federation community. While it will serve the entire Toronto Jewish community it will be located at the Clanton Park Synagogue, 11 Lowesmoor Avenue, Toronto, Ontario. 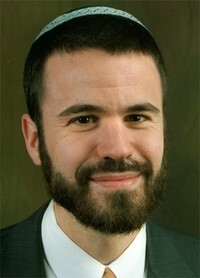 The Beit Midrash will be led by Rabbi Mordechai Torczyner, who was ordained at RIETS. He was the spiritual leader at Congregation Sons of Israel in Allentown, PA for eight years. Rabbi Torczyner excels in utilizing the Internet and social media outlets to spread Torah to people around the globe particularly with his WebShas online index to the Talmud. Rabbi Torczyner is also a member of the Rabbinical Council of America-Orthodox Union Joint Kashruth Commission, and the Rabbinical Council of America’s Task Force on Business Ethics. Rabbi Azarya Berzon, a student of Rav Soloveitchik, was also ordained at RIETS will be a one year Beit Midrash Scholar-in-Residence. He taught in Israel for 13 years, served in the Israeli army for 14 years, and in 1991 established Yeshiva Sha’arei Mevasseret Zion where he served as Rosh Yeshiva (professor of Talmud) for 18 years. Under Rabbi Torczyner’s leadership, the Beit Midrash will foster an open, dynamic community of learning. “Even beginners with nominal Jewish education will be put on a trajectory to advance their Jewish learning and empower them to delve into the rich texts of our tradition,” added Rabbi Torczyner. In addition to Rabbis Torczyner and Berzon the Beit Midrash will be comprised of four scholars who are dedicated to honing their skills as serious Jewish educators. A significant portion of their day will be dedicated to intensive analysis and research of the wisdom of Jewish tradition. Their interaction with the community will actualize and transmit their passion and knowledge to create a true community Beit Midrash.